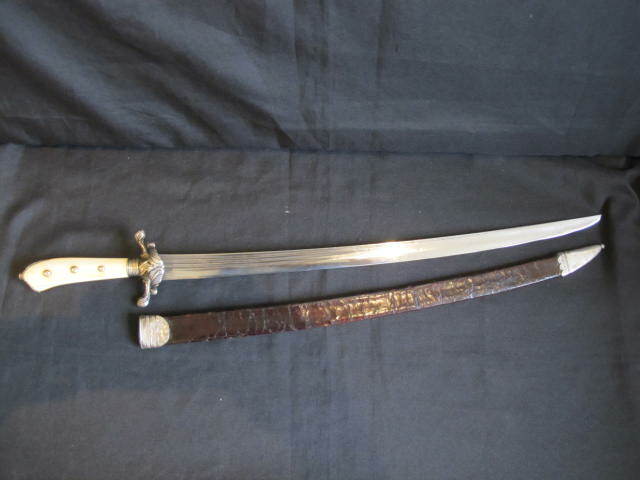 Scarce Continental silver mounted hunting hanger circa 1770. 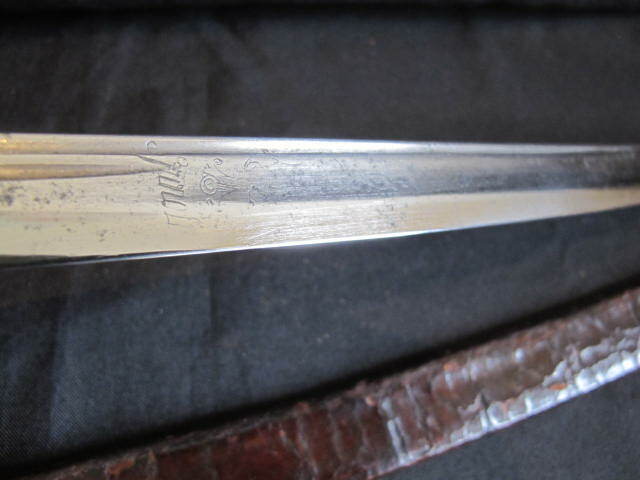 Slightly curved single edge blade. 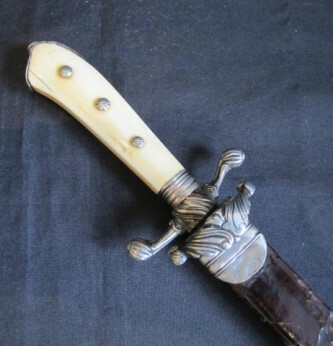 One piece ivory grip with silver mounts (not hallmarked). 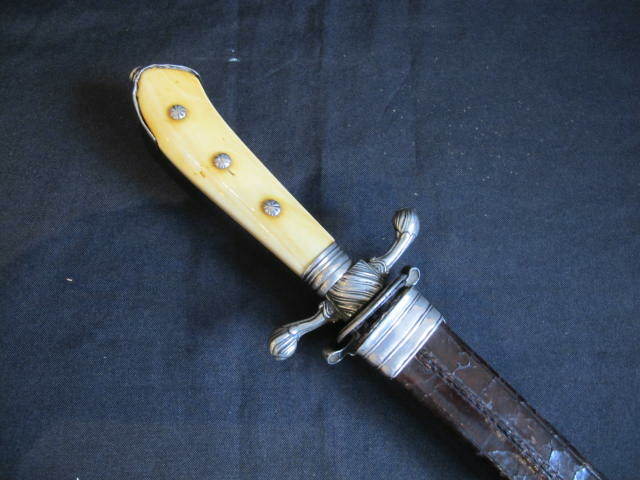 Small side guard with turned cross guards. 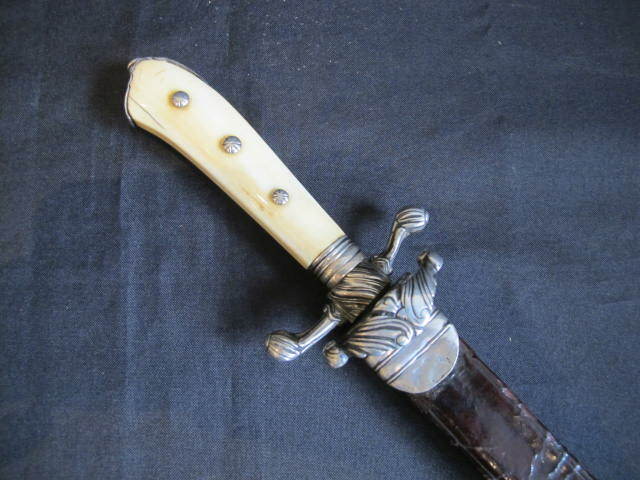 Complete with silver mounted leather scabbard. 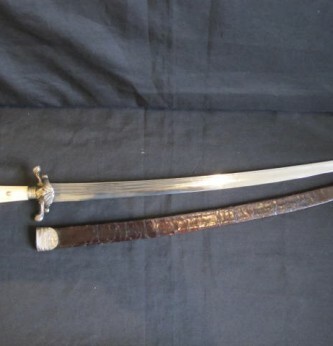 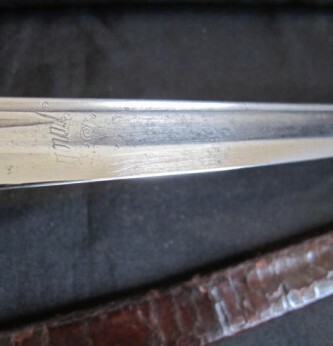 Fluted blade in nice condition for age. 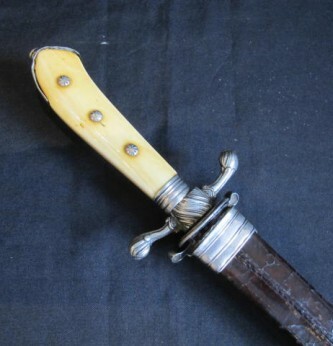 A good example of this early Hunting Dagger.